a major improvement in safety and security"
durability and usability of the product"
Working closely with you, we've been designing, testing and manufacturing award-winning products for challenging Mental Health environments for more than a decade. In doing so, this has given us a thorough understanding of the requirements and significant contribution that good design makes. That's why we take an active part in creating better Mental Health recovery environments through our role on the Board of Design Mental Health Network. 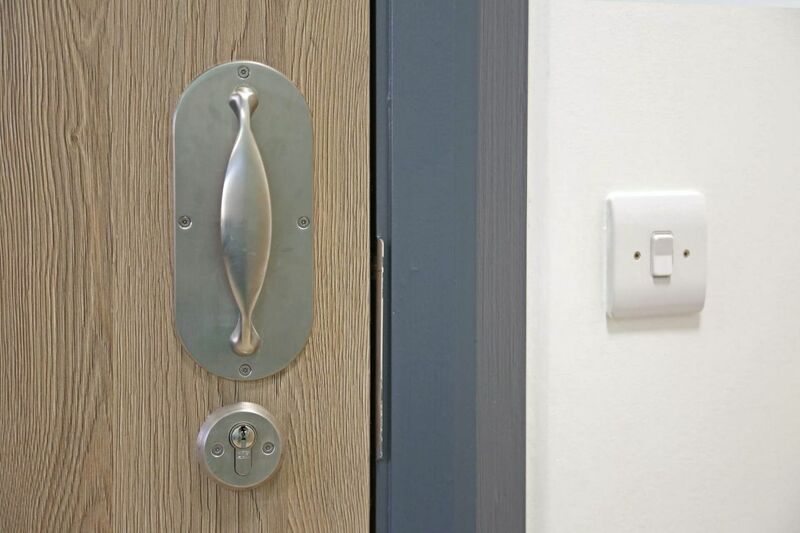 Today, we’re proud that our anti-ligature handles and override locksets have been supplied to more than 80% of NHS care providers, plus numerous private providers and residential care homes across the UK. 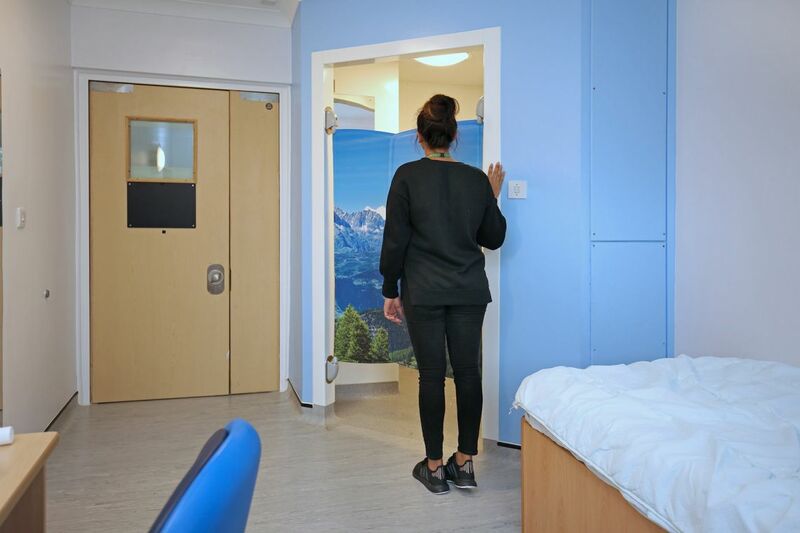 The Coborn Centre for Adolescent Mental Health selected our anti-ligature en-suite bathroom doors as, finding it the only solution to balancing safety with patient privacy and dignity. 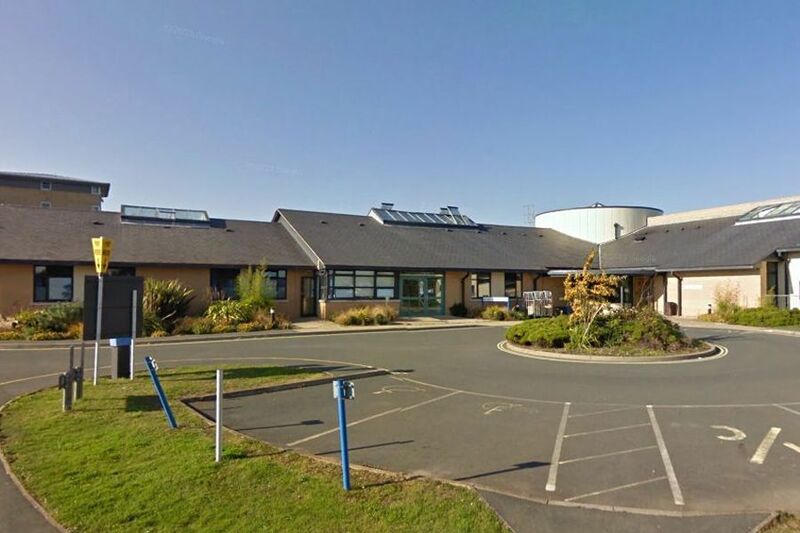 Following the issue of a directive from the Welsh Assembly relating to Ligature Risks in Mental Health Facilities, the Cardiff and Vale University Health Board carried out risk assessments to review the safety of the en-suite doors used at the hospital. 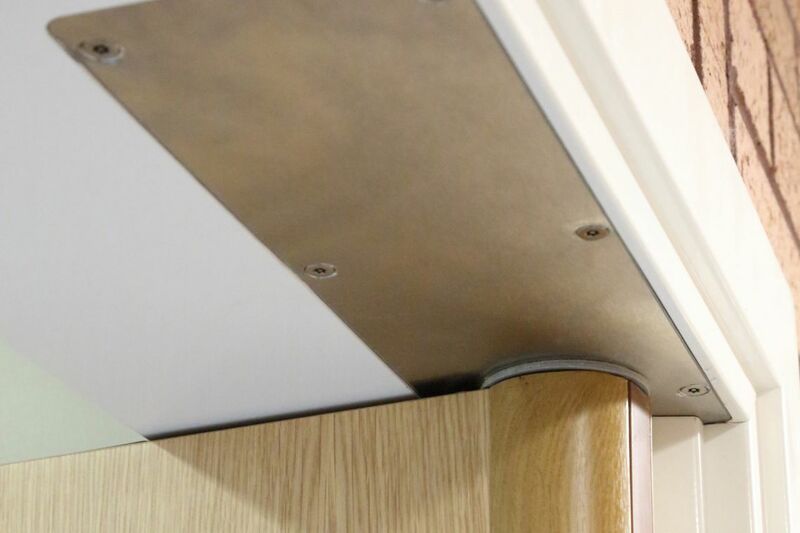 To address the risk of low-level ligatures, our award-winning door was selected and fitted throughout. 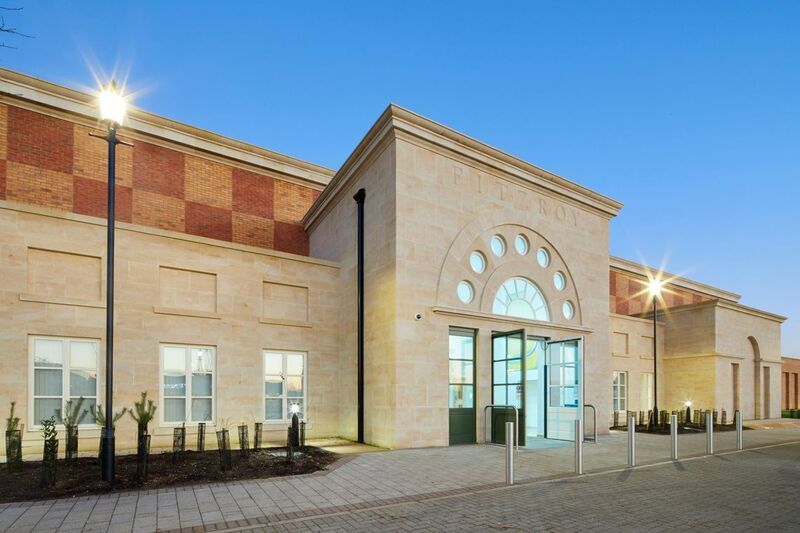 Built by Montpellier Estates, this 34-bed new build is a residential unit for adults. 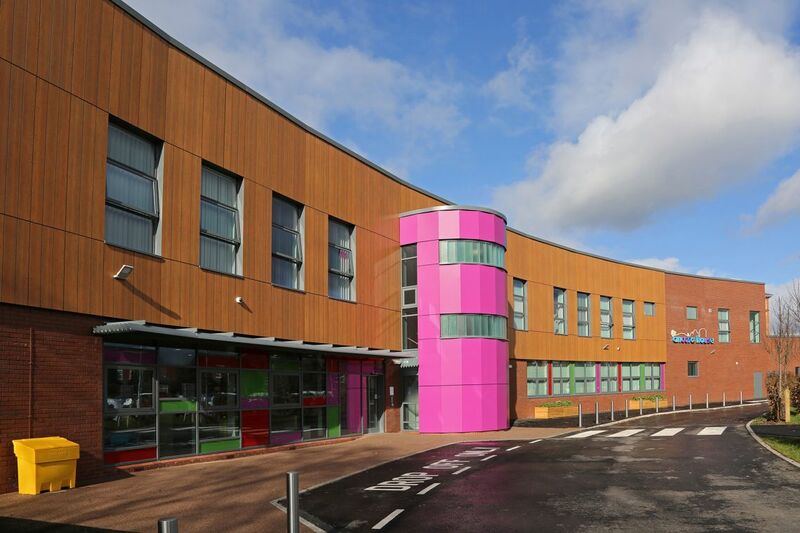 Over three floors, the unit cares for service users throughout their care pathway. 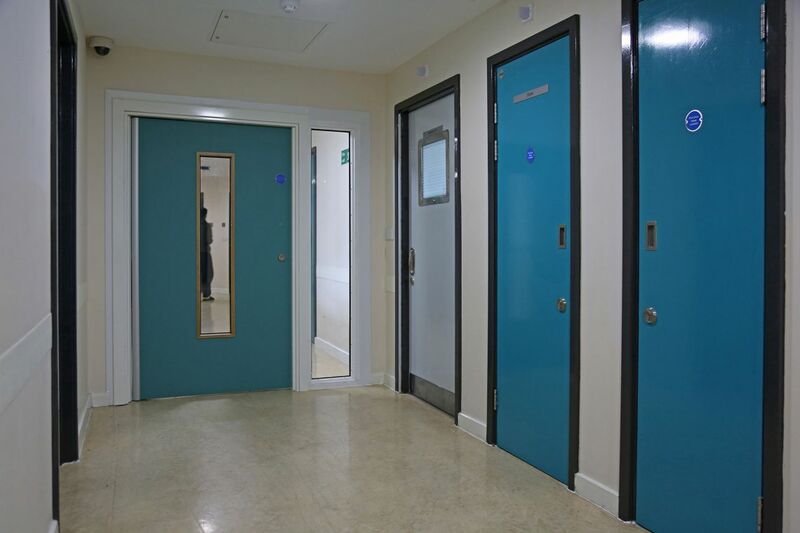 Our bespoke 3-part window restrictors were used on the ground floor to minimise contraband being passed into the unit, while our standard 2-part restrictors were used elsewhere. 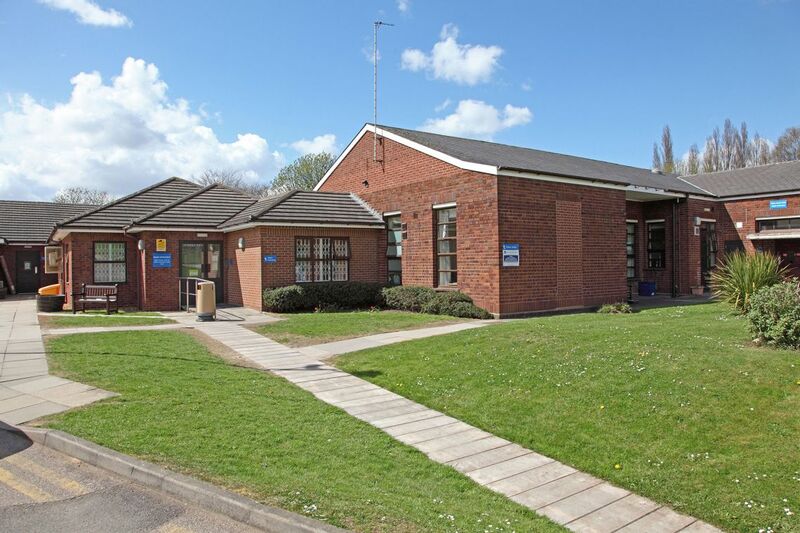 Operated by The Priory Group, the unit aims to support service users with community-based activities so they can progress through their care pathway towards a community-based placement. Creating a domestic-looking environment was key to this – and the client and designers chose our Symphony doorsets throughout. A mixture of old locks and handles needed replaced due safety concerns with clutched cylinders and the insufficient grip some older handles offered service users. They chose our 5-way SOS (Staff Override System) anti-barricade locksets and Pinch grip anti-ligature handles throughout. As part of an ongoing capital improvement program, the trust replaced 100 of their existing wedge-shaped push button anti-barricade stops with our retrofit anti-barricade stop – enabling them to overcome the limitations of push button stops, which can fail to operate if there’s internal pressure. 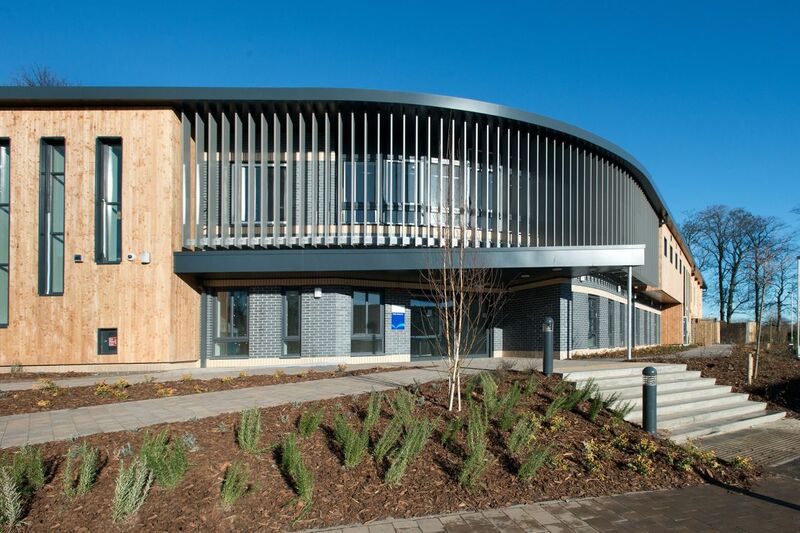 Providing holistic support for older age patients with dementia, Sussex Partnership NHS Foundation Trust needed a familiar environment that would help aid the recovery process. That's why they chose to install our Symphony doorsets and anti-ligature locksets and handles throughout. 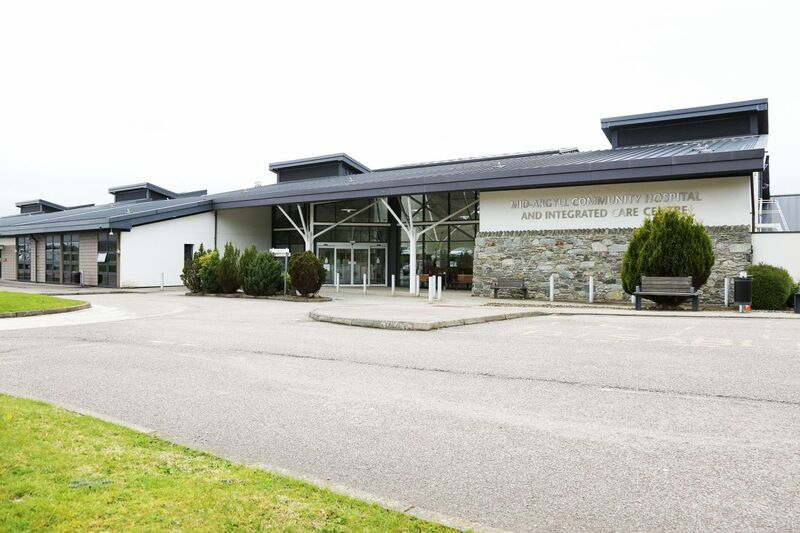 When Newbridge House was being refurbished they wanted bathroom fittings that offered superior safety whilst also creating a homely and welcoming environment. That's why they chose our load release fittings, minimising the ligature risk whilst looking like traditional bathroom fittings. 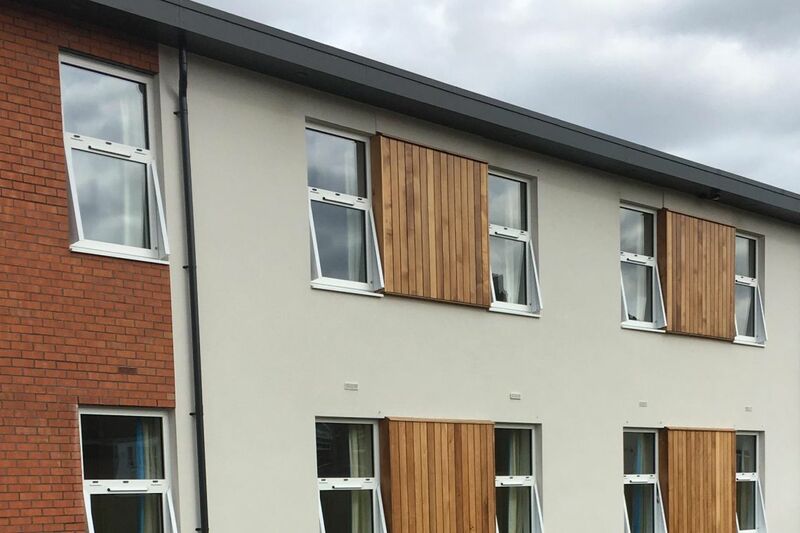 When the trust required new doorsets to combat their current safety and durability challenges, they turned to our extra-wide, single-leaf doorsets. 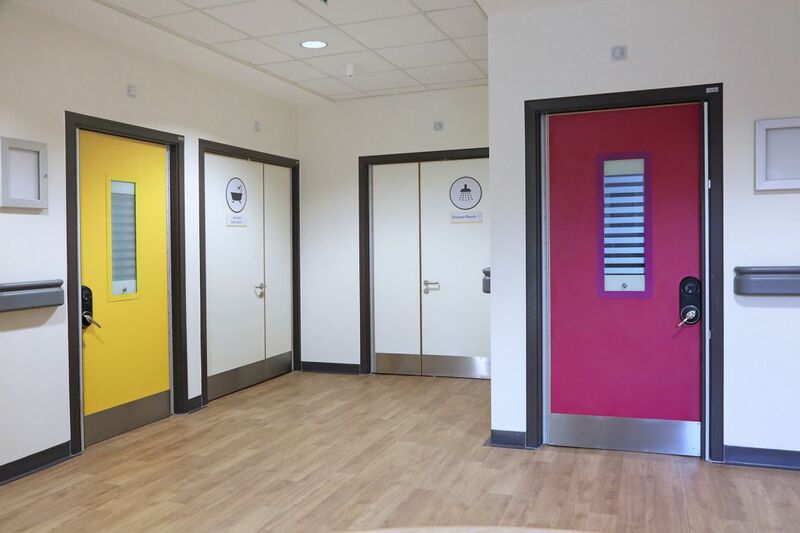 With concealed hold-open closers, this helped to reduce the ligature risk whilst the vandal-resistant PVC facing helped to brighten the space and minimise maintenance costs. 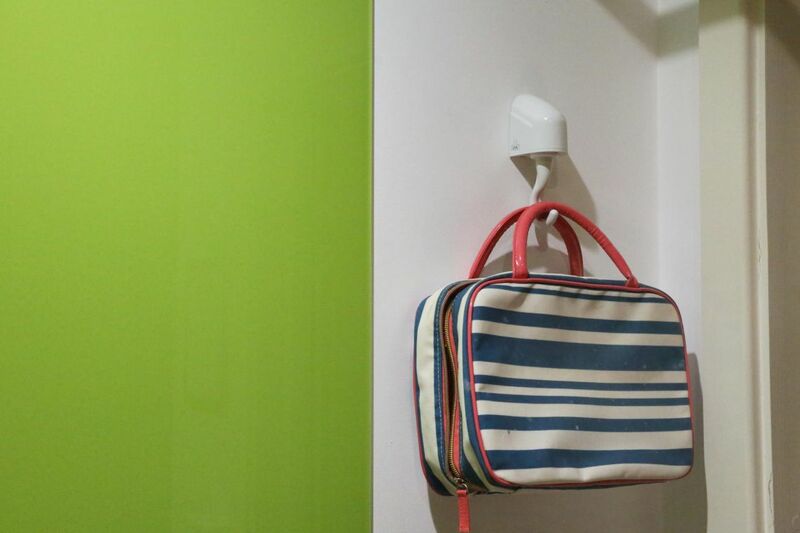 When this new CAMHS facility was looking for a single door closer system for multiple uses, they chose our concealed transom door closers. As well as offering the ultimate in safety, it has no closing force during day-to-day use, helping to assist with normalisation. 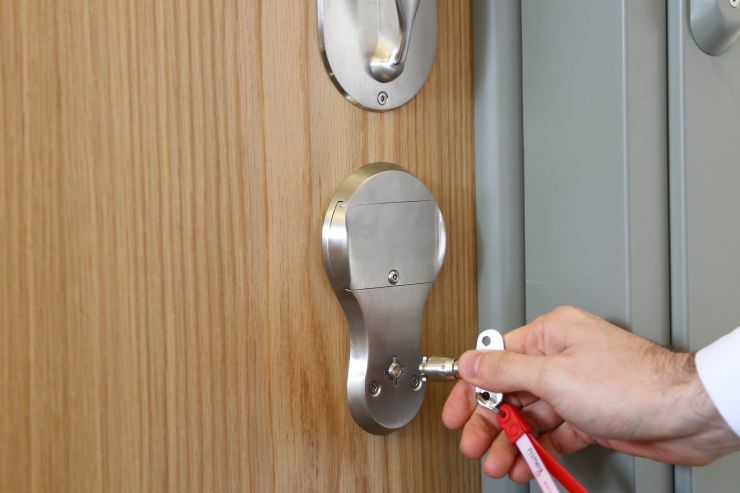 The trust approached us for a reliable and complete override lockset system to minimise keyway tampering and ensure staff could always gain access. Combining our 5-way SOS system with the lifeline closed keyway, our designers were able to meet their specific needs. With a delicate balance between safety, security and aesthetics required, the trust chose our 5-way SOS (Staff Override System). And as a result, staff have been able to protect the vulnerable youngsters in their care, meeting their main objective of reducing service-user risk. 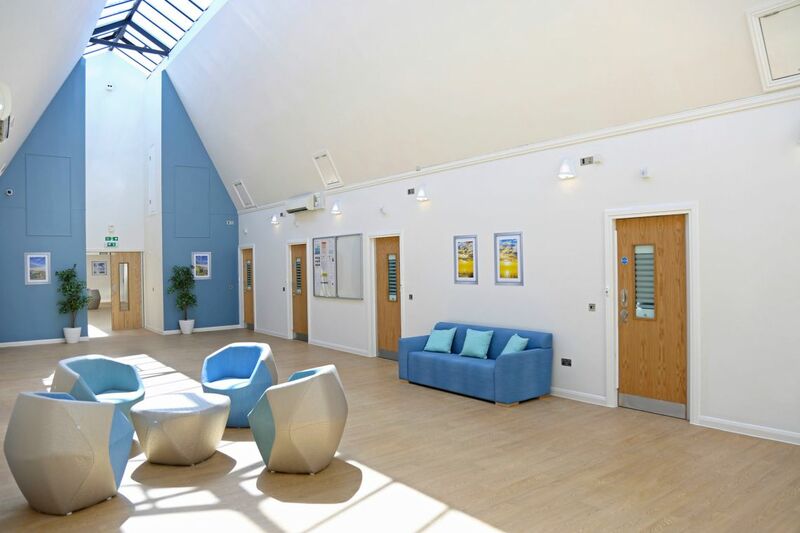 The Hellingly Centre had significant problems with floor sprung door closers and were keen to find a door closer specifically designed for the challenging Mental Health environment. 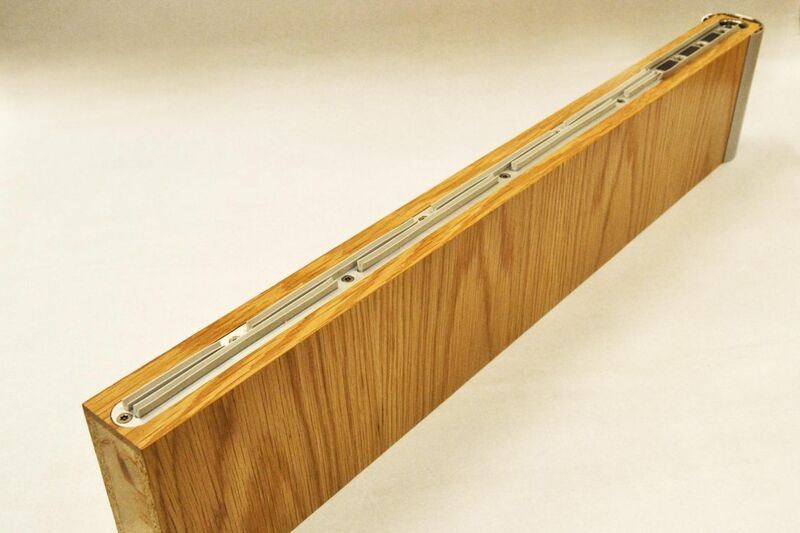 Our concealed transom door closer (Sureclose) provided the answer. 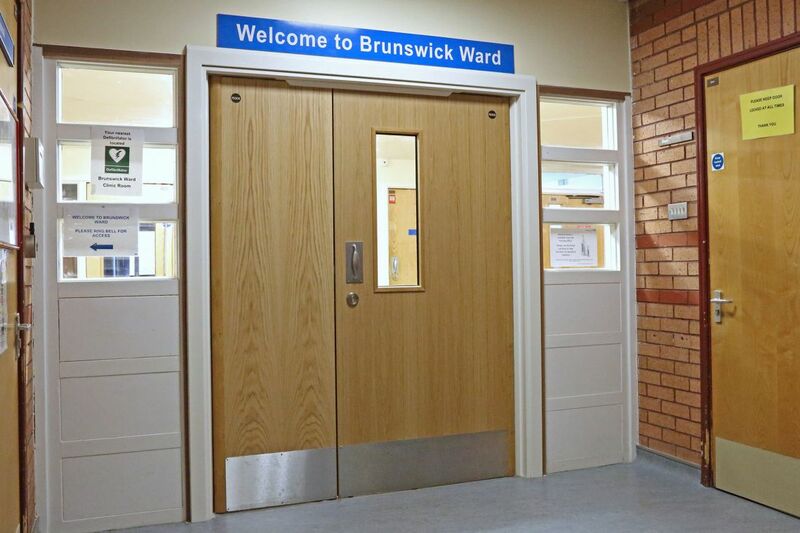 The trust chose to install our range of anti-ligature locksets and handles throughout the ward. 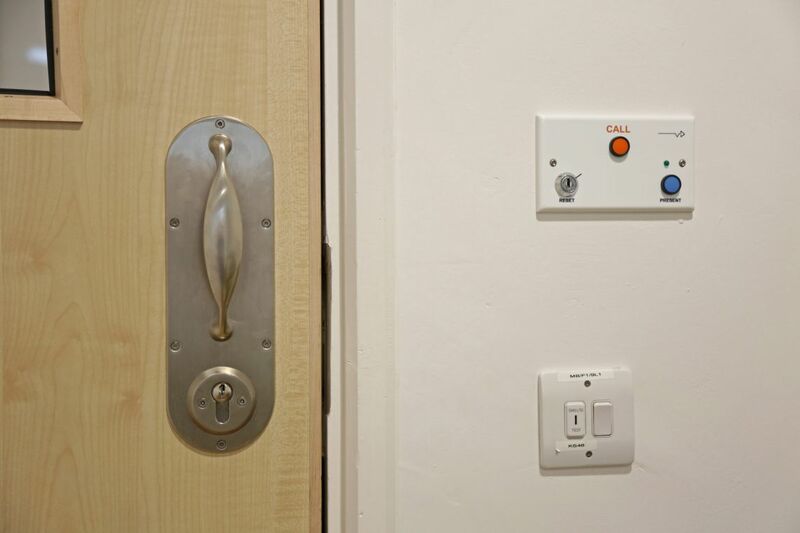 They were particularly impressed with our electronic locksets, seamlessly balancing safety with speed of access as a single access card can be used to operate any door. As the only electronic lockset with 5-way SOS, the trust chose our electronic lockset, passport. 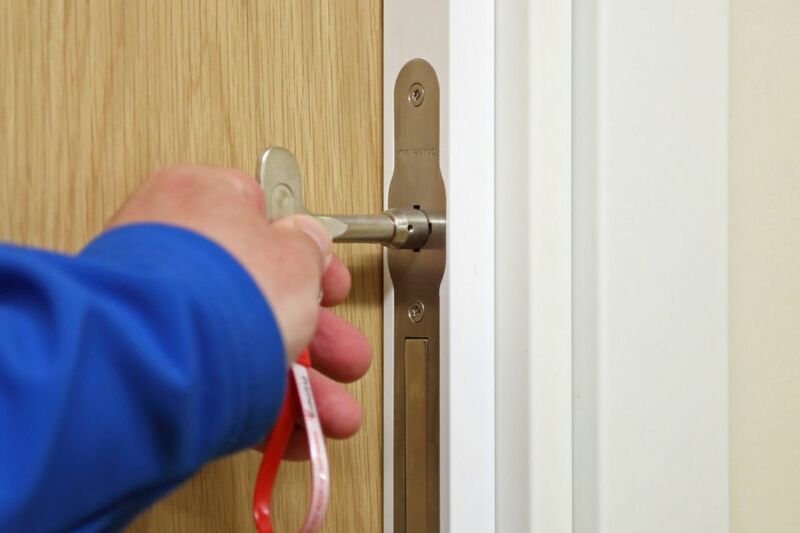 Offering service users control over their own living space by issuing a harmless key fob also met their requirements of promoting service user independence. 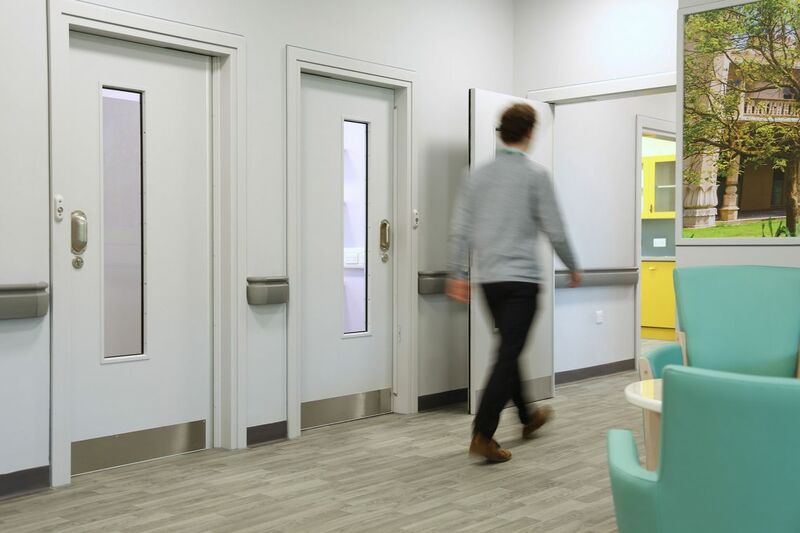 When repurposing an existing building, NHS Highland wanted doorsets that were non-institutional and user-friendly so choose our Symphony doorsets with freeswing door closer. Plus, it's linked to the fire alarm, meaning the door self-closes when necessary. 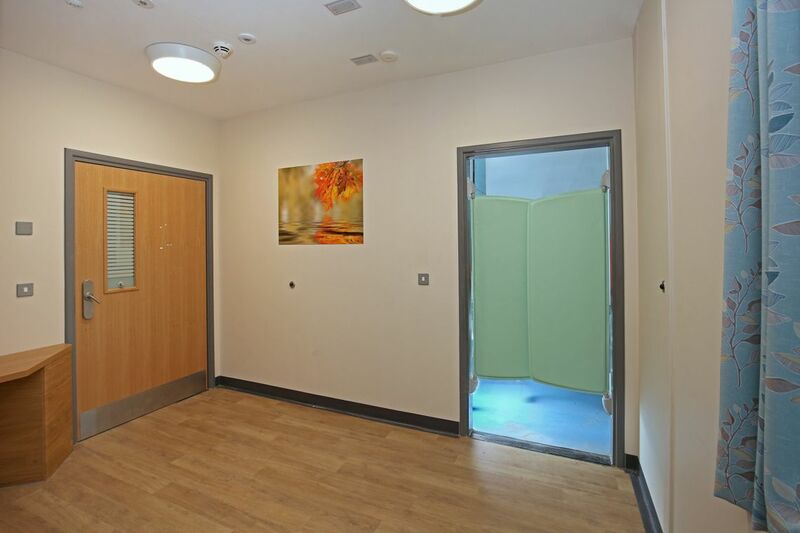 When the ward was being refurbished, the trust selected our extra-wide single leaf Symphony doorset. Aided by market-leading fire evidence, the leaf is 1100mm providing a clear opening of 1050mm – enough space for a service user and two members of staff. 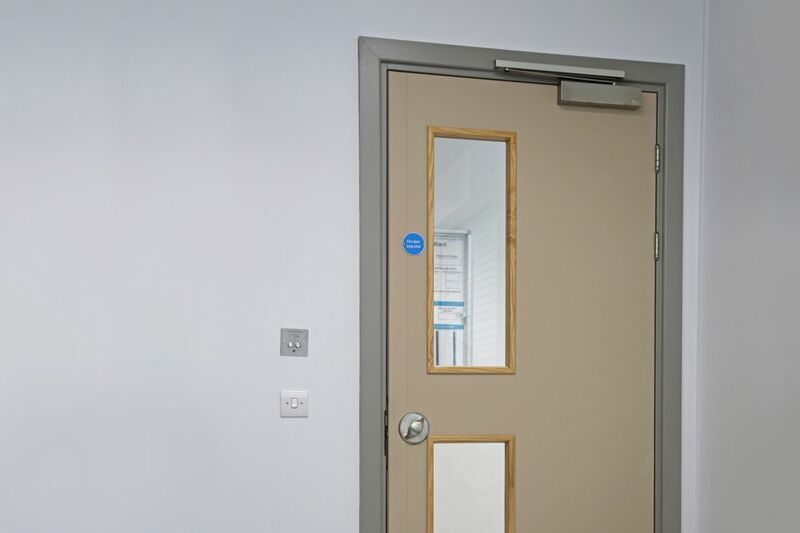 With minimal visible fixings and two-second anti-barricade access, our anti-barricade doorset is ideal for bedrooms and available with mechanical or electronic locksets. Award-winning en-suite door with no known ligature points. The perfect balance of safety, dignity, practicality and cost. Described as "lifesaving" by awarding judges. 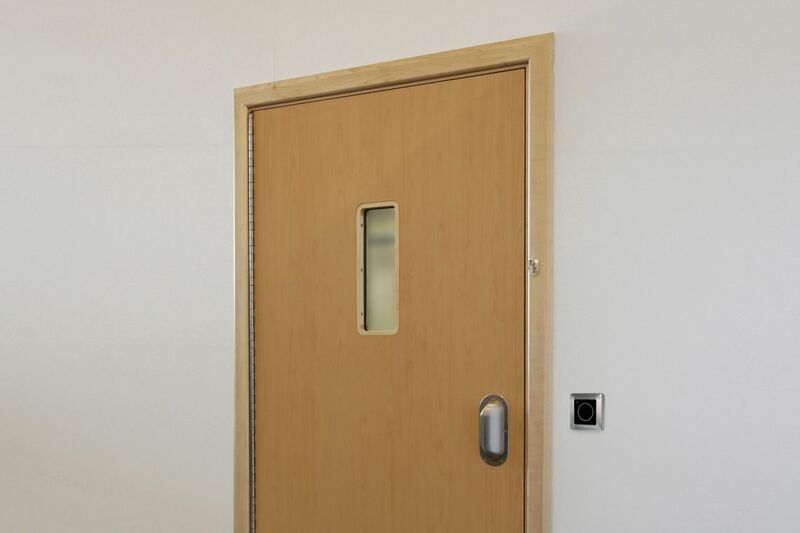 Built to withstand extreme abuse, our solid laminated seclusion room doors are robust and safe. Fire rated and designed for superior robustness, our no compromise on aesthetics. 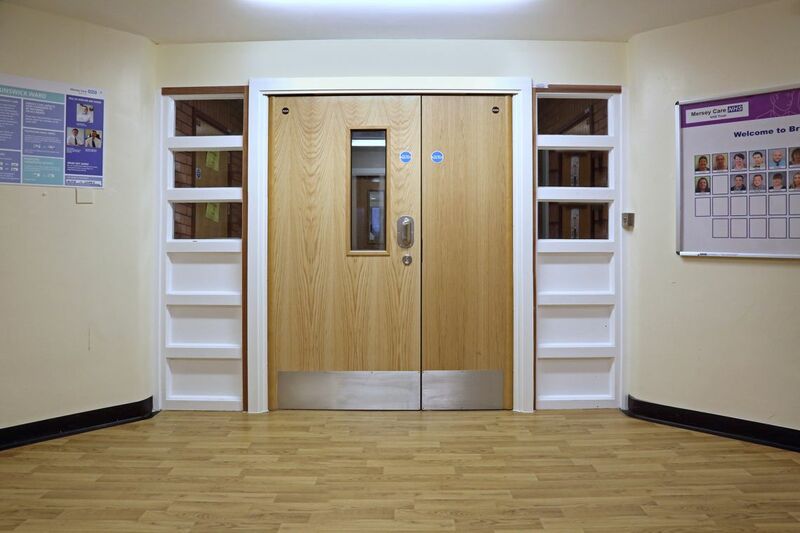 Ideal for secure ward entrances or to maintain fire compartments. Managed on our smart platform, it enables remote programming, and real-time updates and reporting. Plus, it's the only electronic lockset with 5-way SOS built in so staff can always gain access. Our anti-ligature 5-way mechanical SOS lockset provides five override methods to end the barricade quickly and ensure staff can gain access. We hope you rarely use them, but when you do, they might just save a life. 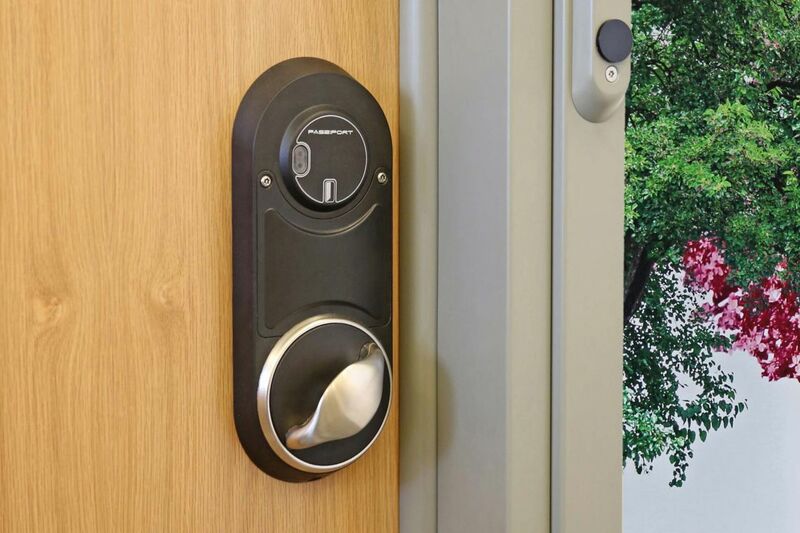 Suitable for low-risk environments where tampering is unlikely, our anti-liagture 1-way SOS lockset enables staff to unlock the door, even if service user holds the turn/pull. 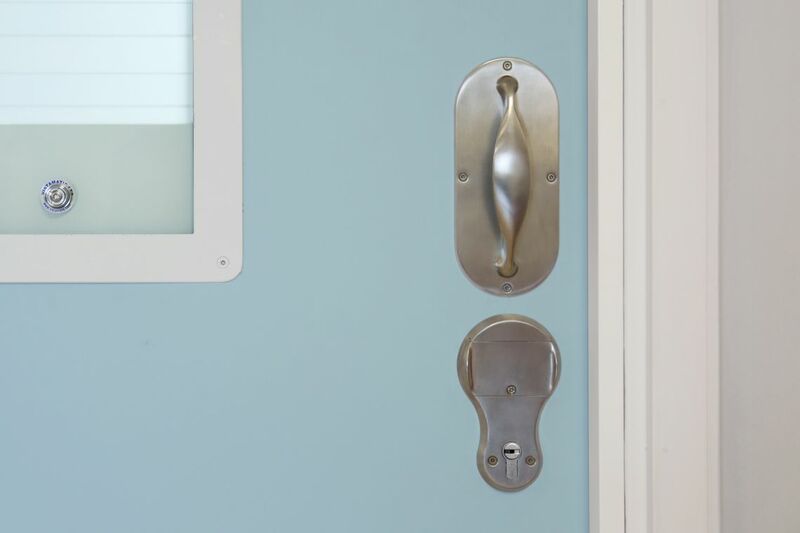 Safe, intuitive and practical doorset designed for non-clinical areas. 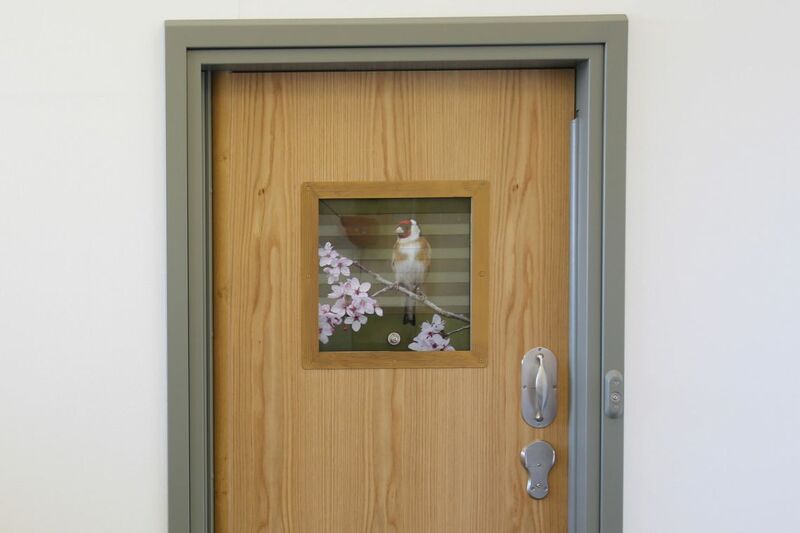 Designed specifically for non-service user areas, this doorset is perfect for a staff area or nurses’ room. Robust and anti-ligature, our handles designed for service users with different needs and varying levels of strength and manual dexterity. 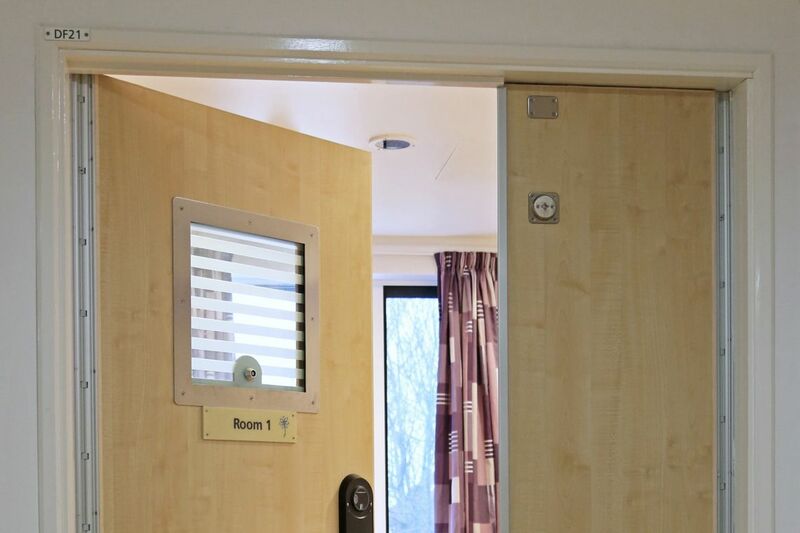 Durable locks for leaf-and-a-half doors, secured with Lifeline closed keyway locks to provide one-key access on the ward. 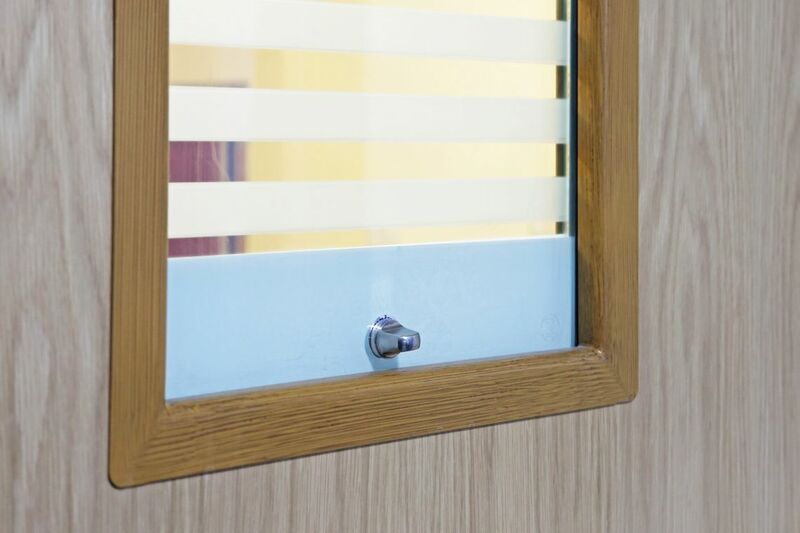 Designed to address specific Mental Health requirements, our window restrictors are robust and safe, yet also offer flexibility and maximise air flow. 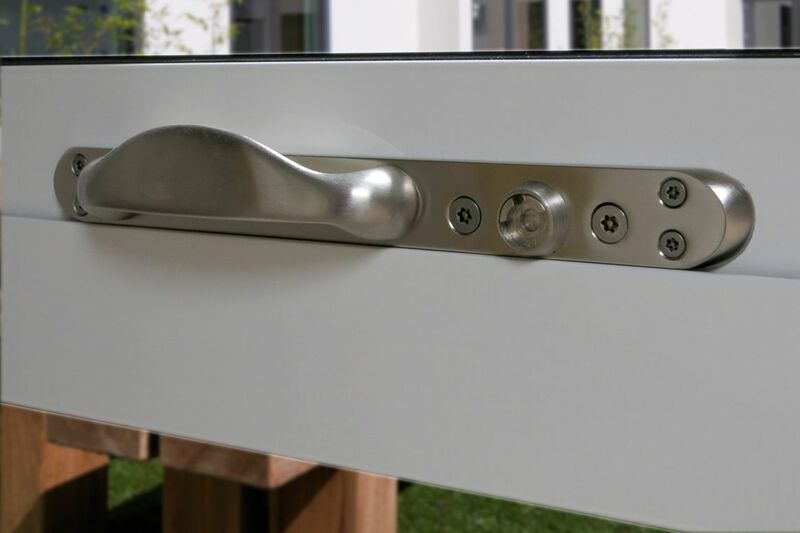 Wide range of handles for aluminium, PVCu and wooden windows. 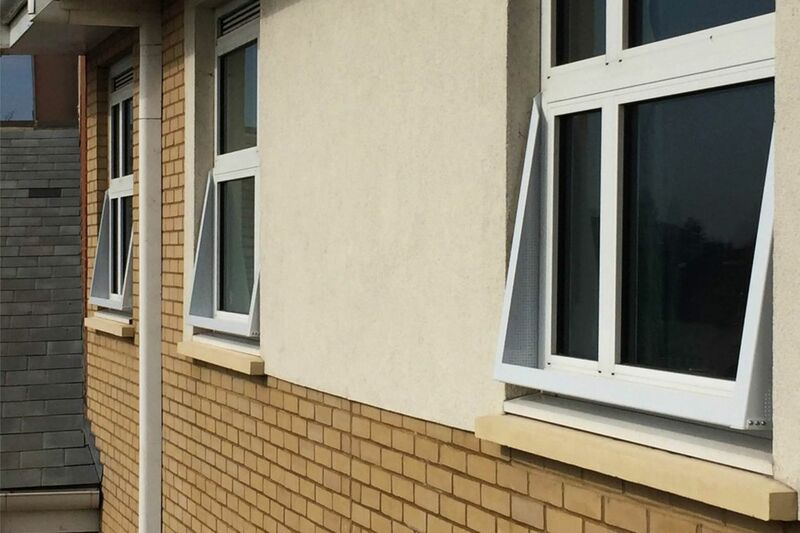 Giving the perfect balance of window access and security, with flexible locking options to suit any care pathway. Safe bathroom and bedroom fittings that look just like the ones you’d at home – restoring dignity, creating a sense of normality and aiding recovery. 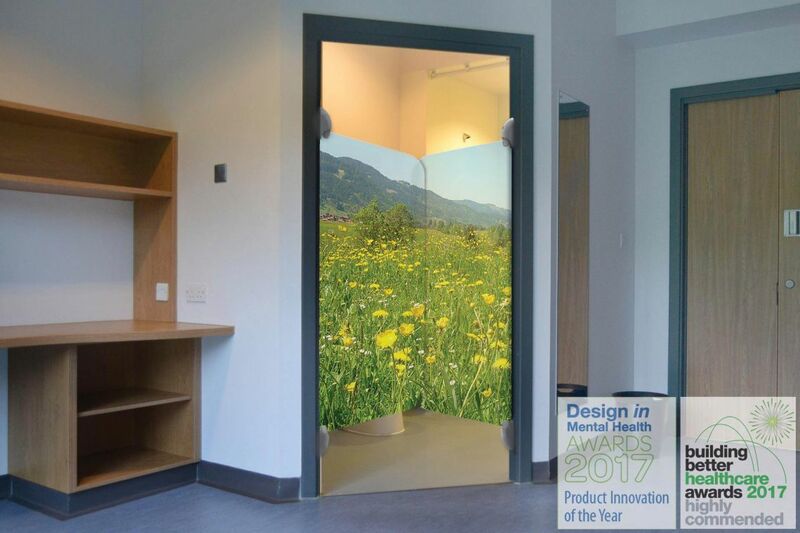 Perfect for ensuring improved confidentiality in interview or tribunal rooms, or creating more peaceful bedrooms in Mental Health environments. Plus it provides an effective seal to create meaningful smoke compartments. Robust anti-ligature and anti-barricade door pivot system. Available in timber effect or RAL colour – making it almost invisible. 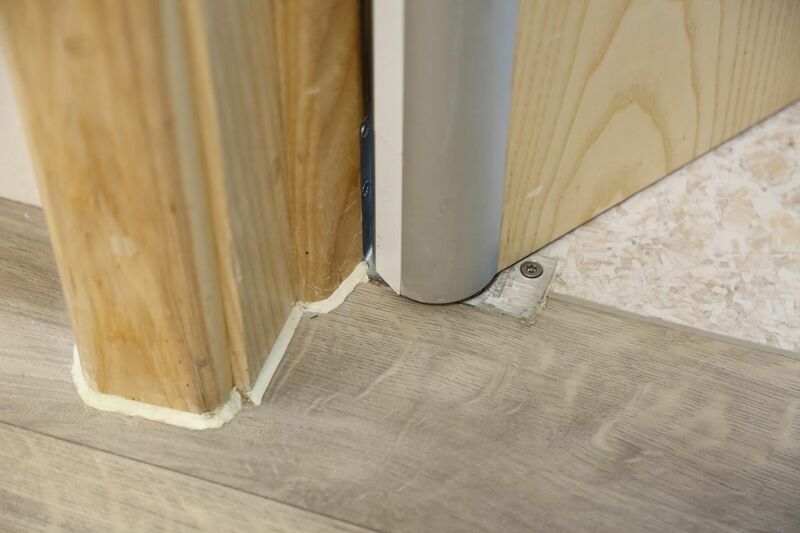 Reliable, anti-ligature and concealed in frame head – it eliminates costly floor excavations. 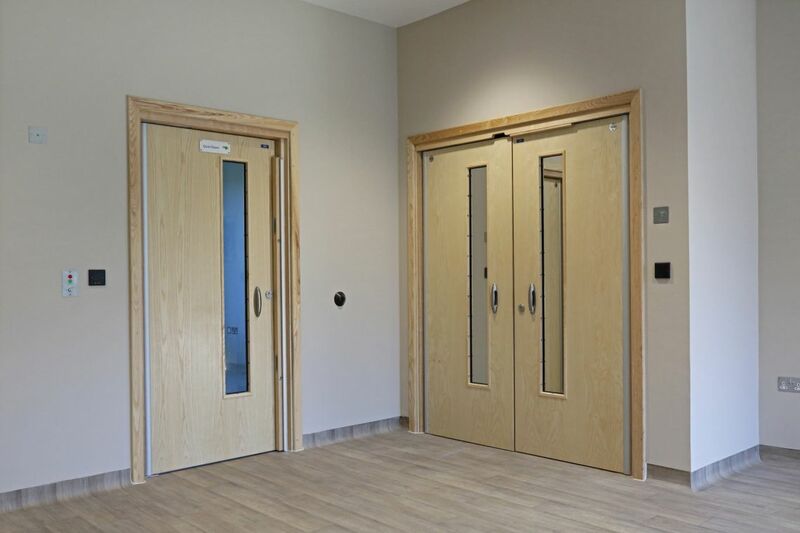 With configurations to suit all ward doors and an internal brake to prevent abuse. Combining durability and safety with a non-institutional aesthetic, it's compatible with pivot or continuous hinge systems. Provides emergency access in 15 seconds. With no visible metal fixings on the bedroom side and finished in timber effect or RAL colour to match the door, it never looks institutional. Plus it's robust and fire rated.